Legacy Events - Entertainment Solutions, Inc. The Circle K Tempe Music Festival was a multi-sensory festival celebrating many genres of music and active lifestyle activities. 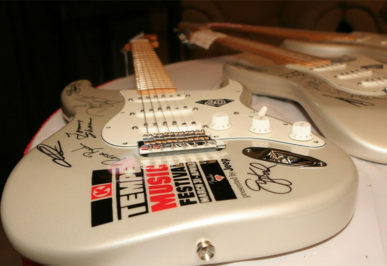 Created, owned and operated by the Arizona Event Company, a sister company to Entertainment Solutions, Inc., the Circle K Tempe Music Festival quickly become one of the largest musical events in the State of Arizona at the time and among one the largest annual music events held in Tempe Beach Park. 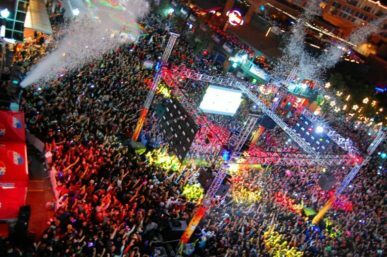 Entertainment Solutions, Inc. was the proud producer of Tempe’s annual New Year’s Eve Block Party in Downtown Tempe for much if it’s 30 year history. 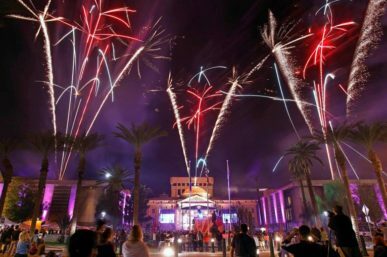 What started as a small get-together for out of town Football fans at the base of Tempe City Hall grew to become one of the top-10 places to ring in the new year annually attracting up to 150,000 people at it’s peak. 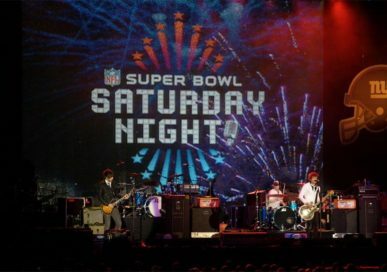 One of the largest free NFL Superbowl events of it’s kind, SuperBowl Saturday Night was a live concert and festival for on the eve of Superbowl XLII. Featuring a live concert by Counting Crowes and Boy Meets Girl, the concert and festival venue achieved a maximum capacity of 40,000 at Tempe’s Beach Park. The festival also featured player appearances, sponsor hosting and VIP Area and an enormous fireworks show. With the first 20 miles of Light Rail train service ready to open to the public in December 2008, Metro Light Rail turned to Entertainment Solutions, Inc. to plan and implement an Grand Opening on a grand-scale. With three large-scale festivals along the route as well as community events at all platform along the new route, Entertainment Solutions simultaneously produced 20 festivals along the light rail route on Grand opening Weekend. 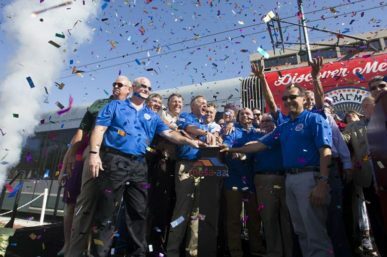 Featuring headliner entertainment, concessions, and local community and business expos, each festival welcomed new rail commuters and train enthusiasts to experience Arizona’s first light rail trains inaugural run through the Valley. The Arizona Diamondbacks and City of Phoenix turned to Entertainment Solutions, Inc. to produce and manage the historic Arizona Diamondbacks World Series Championship Parade. 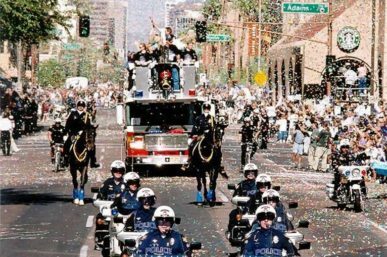 What started as street-festival viewing parties for all home World Series Games quickly escalated into the largest parade and celebration in the history of the City of Phoenix and State of Arizona. Tasked with only a few short days following the Championship-clinching Game 7 against the New York Yankees, Entertainment Solutions assembled a logistics and programming team to plan and produce a ticker-tape parade for the World Champions throughout the street of Downtown Phoenix.